I’m 35 years old, and I’ve never bought silverware. When I went to college, my parents gave me some of their old silverware. Forks, spoons, knives, chopsticks, that sort of thing. Over the years as I’ve had roommates come and go, I’ve accumulated more random utensils. Now I have more than enough. So it was fascinating for me to listen to Patrick Rothfuss and Max Temkin talk about silverware on their latest podcast. Both of them were similar to me for a long time, but they’ve come to appreciate the purchasing of specific silverware, and they had some pretty good reasons for it. Reason 1: You use silverware every day. Think about it. Do you go a single day without using some sort of food-delivery utensil? That by itself puts it in the category of shoes. It’s something that’s probably worth spending money on, as you’ll use it every day for years and years. 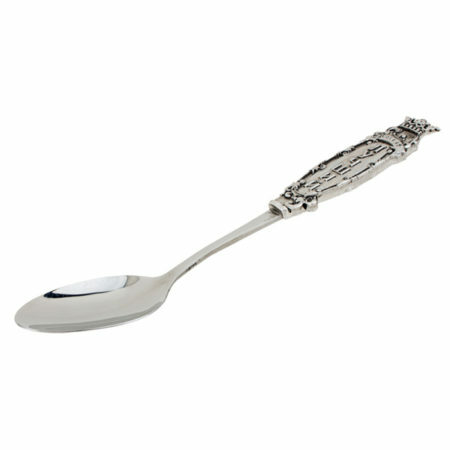 Reason 2: Do you have a favorite spoon? Fork? Knife? If so, do you ever wish you could use that same spoon every day? If you’re like me, you might have one or two really great spoons, and you just kind of put up with the rest of them. How glorious it would be if all of my spoons were my favorite spoons! Now, are those reasons good enough to inspire me to spend money on silverware? Heck no. But they were good food for thought. Are you like me in that you own a random hodgepodge of silverware? Or do all of your spoons match and they’re amazing? This entry was posted on Thursday, June 16th, 2016 at 12:19 am	and is filed under favorites and tagged with favorites. You can follow any responses to this entry through the RSS 2.0 feed. I used to have hodgepodge for the same reasons as you. But weddings get you all sorts of things, including nice silverware. And boy is it great. Every spoon is a nice spoon. All I could think about while reading this was Soundgarden’s song “Spoonman”.